Eleven journalists working for the Welsh arm of a regional publisher have been nominated in the 2016 Wales Media Awards. Trinity Mirror-owned Media Wales, which runs titles including the South Wales Echo and Western Mail, has dominated the shortlist ahead of the awards’ forthcoming ceremony. Media Wales’s nominations include a clean sweep in the Sports Journalist of the Year category – where Carolyn Hitt, Paul Abbandonato and Simon Thomas are the only names shortlisted. Elsewhere, the Mail is nominated in its own right under the Daily and Sunday Newspaper of the Year category alongside the North Wales Daily Post and South Wales Evening Post. 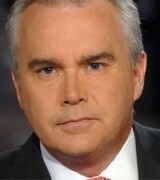 The winners will be announced at a ceremony to be held in Cardiff 4 March, hosted by BBC News presenter Huw Edwards, pictured above left.